See your data in a whole new light. 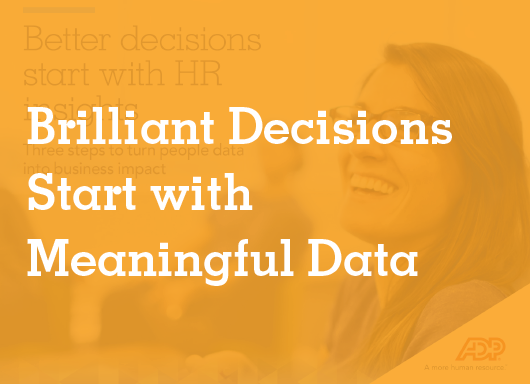 With the right tools and analytics your organization can master global complexity for brighter, smarter decisions and forecasting. 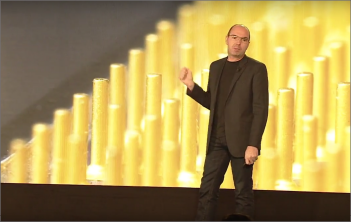 How should you put your data to work for a competitive advantage? ADP’s GlobalView® HCM solution brings you integrated payroll, HR, talent, time and benefits in one comprehensive global solution. From recruitment to retirement, learn more about how it can help your HR leaders. 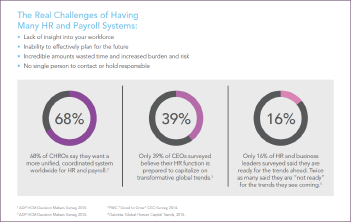 Global Payroll brochure: Executives want a single, unified HCM and payroll solution to reduce the enormous complexity created from having many different systems. How is the world of work changing? What is the impact of new digital tools and how can you leverage these tools while remaining sensitive to human needs? ADP expert Roberto Masiero tells you more.